After the immense success of last year's Cosmetics for a Cure, thanks to the support and the generous prize donations of fellow bloggers, nail polish companies, beauty e-tailers, and polishaholics alike, I decided to bring it back for a second year! I am a strong believer in paying it forward and since you have all given me so much love and support in the past year, I thought that it would be wonderful if I could pass that on to as many people as possible. I chose to launch the raffle in April because it is Autism Awareness Month and this year's charity is Autism New Jersey, the beneficiary of the Ride 4 Autism. Why the Ride 4 Autism? I became a volunteer for this ride in its first year in 2001, having grown up with a cousin diagnosed with Autism. The diagnosis was made at 18 months, which was incredibly early back in 1993. While great strides have been made in early intervention, education, and awareness, Autism spectrum disorders still affect approximately 1 in 150 individuals and the financial burden on families of individuals with autism can create extreme hardship. 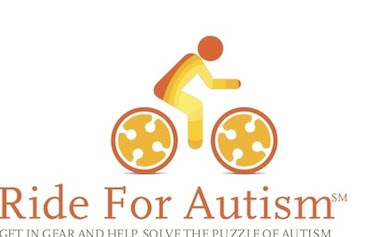 The beneficiary of the Ride 4 Autism, Autism New Jersey, is a non-profit agency providing information and advocacy, services, family and professional education and consultation. They encourage responsible basic and applied research that may lessen the effects of, and potentially prevent, autism. They are also dedicated to ensuring that all people with autism receive appropriate, effective services to maximize their growth potential and to enhancing the general public’s overall awareness of autism. How Does Cosmetics for a Cure Work? DO NOT check the box that will list your name as anonymous, as I will be unable to validate your entries! I will record your name in an Excel sheet, with the number of entries equaling the number of times your name is listed. When the raffle ends, I will use my Excel sheet and Random.org to select the winners and announce them on this page. Winners will have 48 hours to respond via email. The raffle starts today and ends on May 1st at 12:01 am. OPEN INTERNATIONALLY ! Please note: Princess Polish is NOT responsible for a third party's failure to deliver a donated prize or mishandling/loss of packages by any postal service. You must be 18 years or older to enter this raffle. Check out what's up for grabs (so far!) below! More prizes will be listed, so keep your eyes peeled here, on Facebook, and on Twitter!! !